A place to fall in love with!! 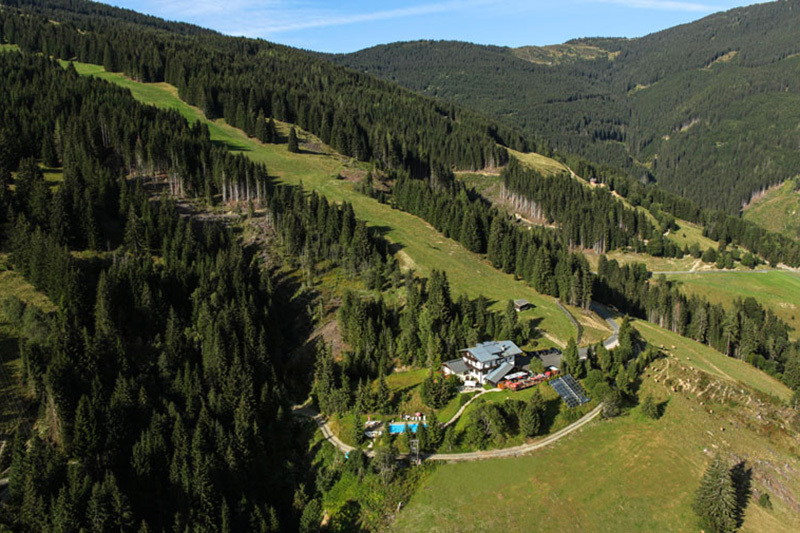 Located above Viehhofen, you can reach the Hecherhütte by car or motorbike. The access road is asphalted. 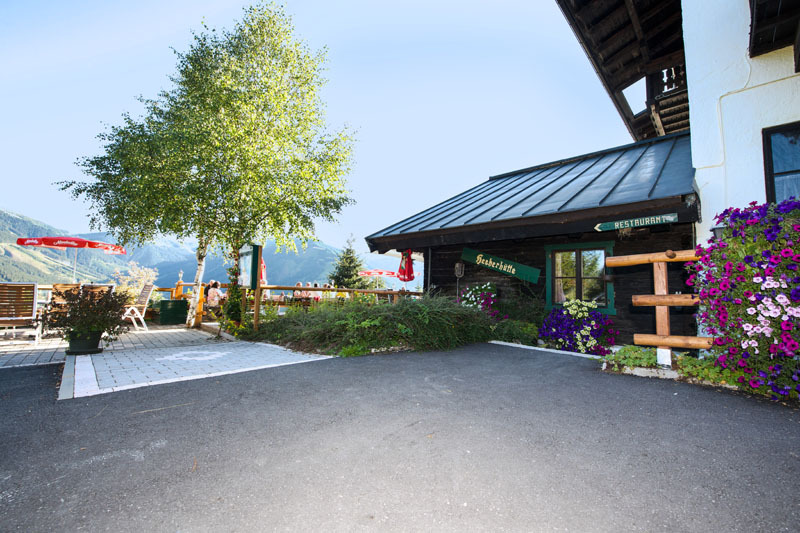 Our romantic mountain inn enjoys a, idyllic, peaceful location at an altitude of 1250 m.
Our spacious car park offers ample parking spaces. Awaiting you: a relaxing atmosphere and stunning panoramic views. Enjoy the warming sunshine on our cosy sun terrace, or take a refreshing dip in our solar heated pool. In bad weather, you can choose between the crackling of logs in the open fireplace, or relaxing and working up a sweat in the sauna. You can always rely on our service, and our great food will never leave you hungry. 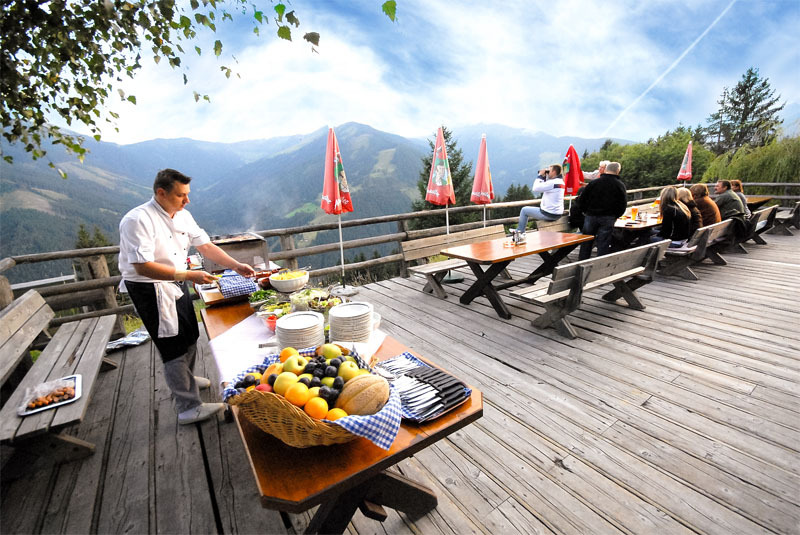 The “Hecherhütte” mountain inn is the perfect starting point for hiking and mountain tours. 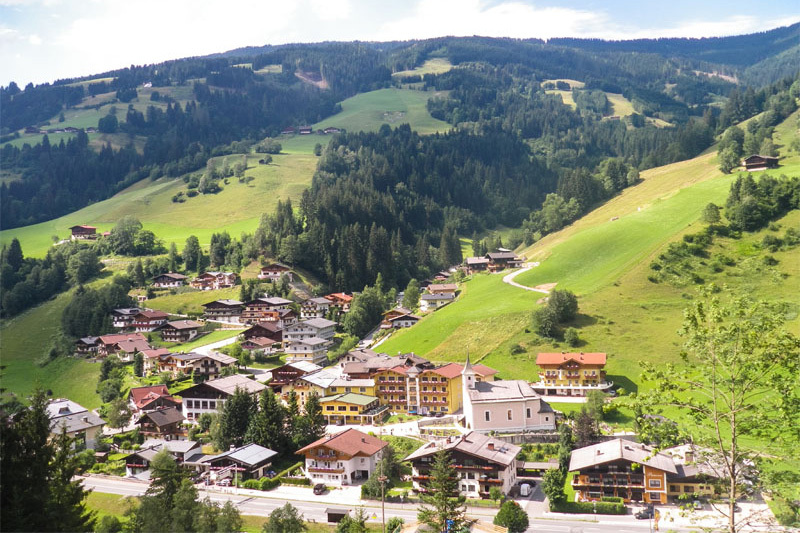 Discover the beauty of the surrounding Alpine region during your summer holiday in Viehhofen . 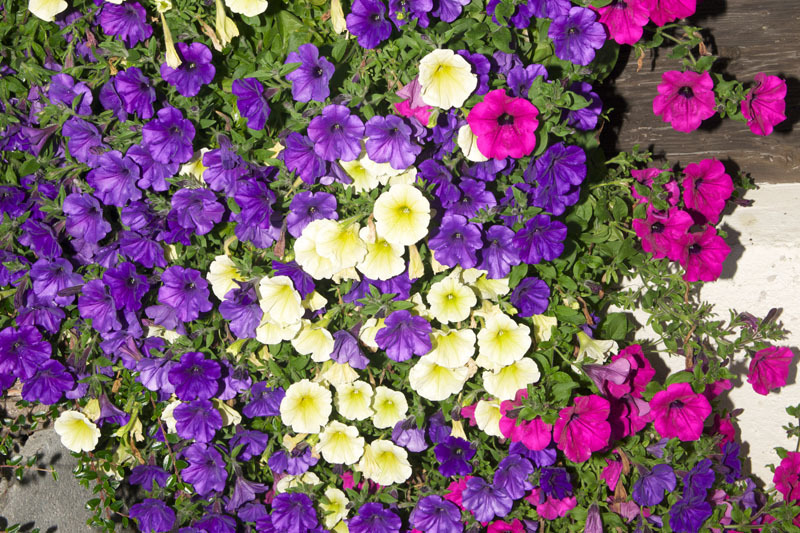 An excursion to Zell am See, Kaprun, Saalbach-Hinterglemm, Leogang, or Saalfelden, or a drive along the Großglockner High Alpine Road through the Ferleiten Wildlife Park is always worthwhile. 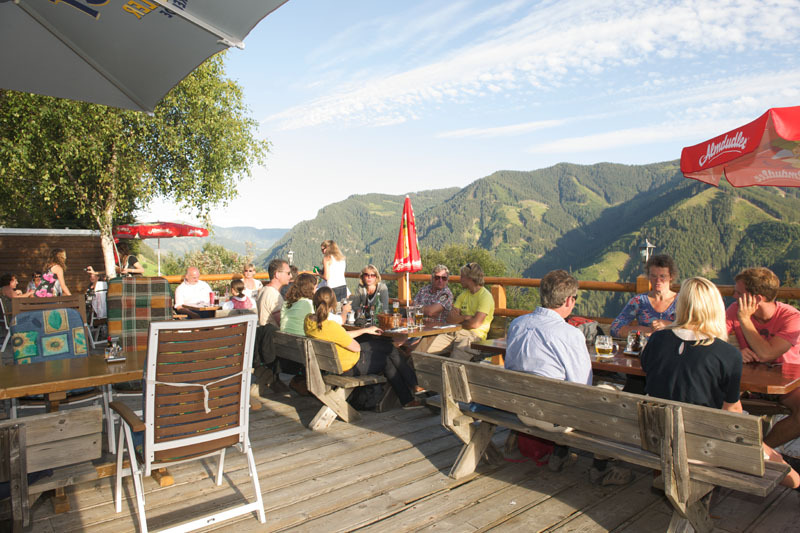 Your holiday in the Salzburg region is rounded off with a wide range of sports and leisure activities, such as hiking, horse riding and golf. Also, don’t miss out on a day trip to the cultural city of Salzburg, perhaps with a shopping tour thrown in.